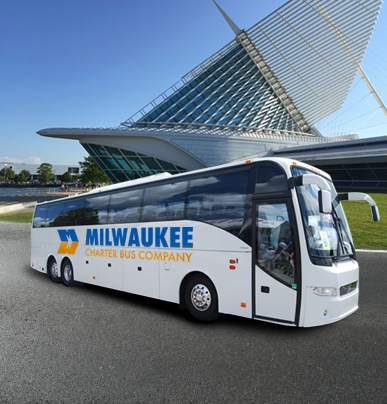 Milwaukee Charter Bus Company handles corporate event, sports competition, wedding, and school field trip transportation, among others. If you’re ready to get your next trip on the road, call our support staff at 414-369-6343 any time to learn more and get a free quote. Slightly larger than its 18-passenger counterpart, the 20-passenger minibus is a great solution for larger groups that need an efficient ride. Enhanced with premium safety features and several key amenities, this motorcoach is one of the best options on the road. 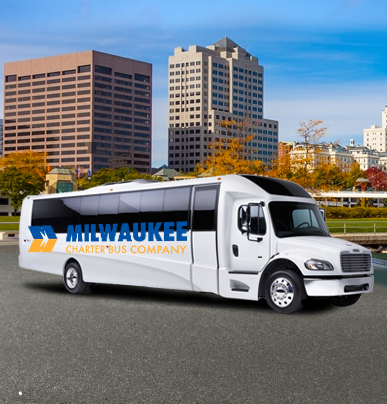 The smallest motorcoach solution available, the 18-passenger minibus is a fast, compact solution that caters toward smaller groups traveling short distances. Commutes to and from weddings, basketball games, and corporate events are easier than ever before, all thanks to this fast, efficient solution. The largest minibus available, the 25-passenger minibus fits groups that are too large for a traditional minibus, but not quite large enough for a full-sized charter bus. Large business teams, sports teams, and educational institutions love booking these for cross-town trips. 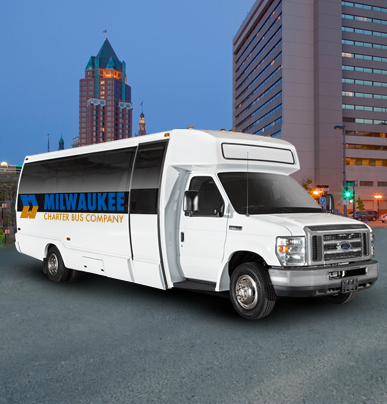 The largest groups enjoy the 56-passenger charter bus because it is one of the most spacious solution on the road. Rather than splitting up your group in several smaller minibuses, rely on a single charter bus to completely accommodate all of your passengers and their luggage.